Every year on March 17th, the celebration of St. Patrick’s Day incites festivities all over the world, from the granddaddy of all St. Patrick’s Day parades in New York City, to the annual tradition of dying the Chicago River green, and the many shamrock-themed shenanigans that take place in pubs and bars across the globe. For those in the bartending industry, the day honouring the patron saint of Ireland inspires us to create innovative new cocktails — but a good St. Paddy’s Day drink can (and should) include much more than green food colouring and a shot of whiskey. I’ve called upon my friends Justin Darnes from Tacofino’s new Gastown location, Taco Bar, and Sabrine Dhaliwal from West Restaurant, to help me come up with the perfect Celtic cocktail recipes to wet your whistle. For my own concoction, I drew inspiration from the famous green-hued libation known as the “Last Word”, as well as my favourite Irish writer, Oscar Wilde. Cheers, and happy St. Paddy’s Day! 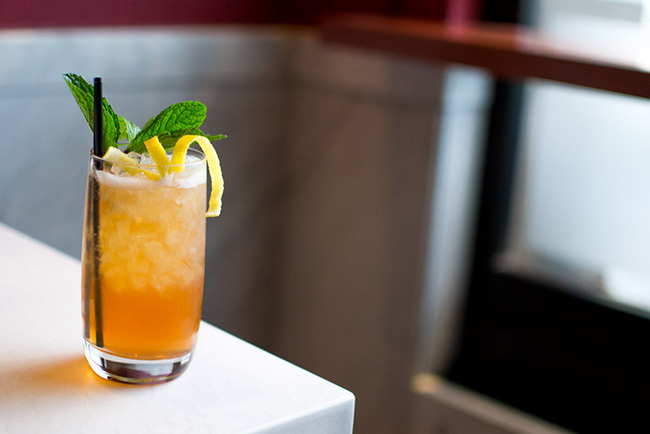 This cocktail is a twist on the legendary “Last Word”, which originated in Detroit in the 1920s and was brought back to life by legendary barman Murray Stenson of Zig Zag Café in Seattle in 2004. The combination of Green Chartreuse, Maraschino, gin and lime makes for a perfectly balanced sour and sweet libation. The name derives from the prolific Irish poet and playwright, Oscar Wilde, who while lying on his deathbed in a dingy hotel room famously said (although it’s been reported a few different ways), “My wallpaper and I are fighting a duel to the death. One or the other of us has got to go!” Clearly, the wallpaper remained. Bring water to a boil in a sauce pan. Add turbinado sugar and Tealeaves Vanilla Oolong. Reduce to a simmer, and stir until sugar is dissolved. Remove from heat and let tea steep for 1 hour, or until cool. Remove tea and bottle remaining syrup. Add ice and shake hard for 20 seconds. Double strain with a fine mesh strainer to a pre-chilled cocktail glass. Garnish with a few dried oolong leaves. Sabrine Dhaliwal from West used her childhood as the inspiration for this cocktail. “Growing up near Quebec, St. Patrick’s Day always symbolized that spring was on the way, as did maple syrup. It only made sense to combine two of my favourites, Irish whiskey and maple syrup, in a cocktail. 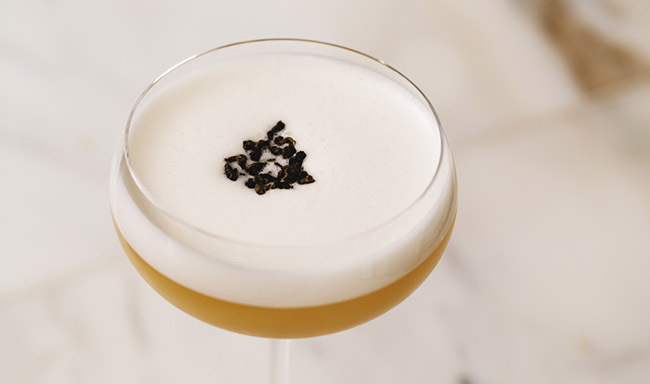 The addition of tea and angostura bitters gives this cocktail a slightly warmer note,” says Sabrine. Combine all ingredients in a cocktail shaker and add ice. Shake hard and serve in a tall glass over fresh crushed ice. Garnish with a lemon twist and a sprig of mint. Add all ingredients to a chilled mixing glass and stir. Strain over ice and add a Guinness ice sphere (reduce Guinness with 25% water to ensure it solidifies, then add to a sphere-shaped mould and freeze). 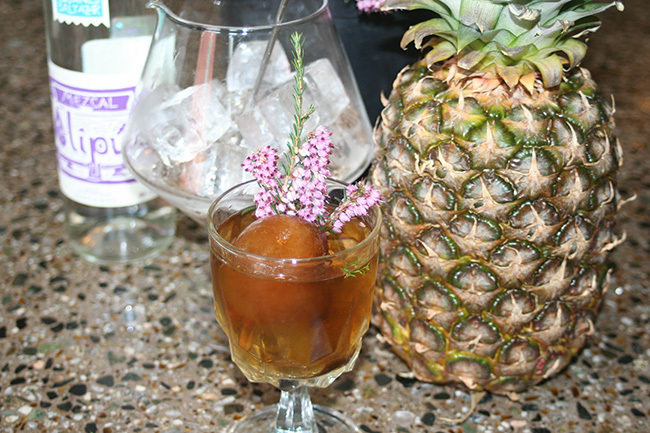 Garnish with a heather blossom.